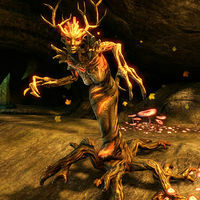 Acanthia, Chosen of Nirn is a spriggan found in the westernmost chamber of Bloodmayne Cave. She is one of three bosses you need to defeat to clear the delve. This page was last modified on 25 January 2018, at 03:47.